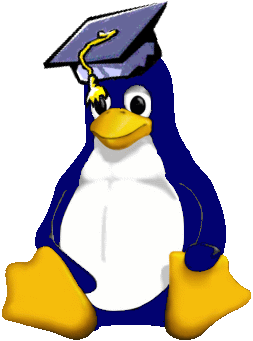 Linux is the fastest growing Operating System in the computing industry. Since it's introduction in 1991, it's now used in more than 10 million computers. It's easy to understand it's increasing popularity once you've seen it's advantages and the great protential it has. If you're interested in learning more about this powerfull operating system, we have courses ready for you and your personnel. Be it that you want to train your personnel or you have a group of friends that want to learn or you just want to take an already sheduled course, we can adapt to your needs. We can give courses in our classrooms or in your business, we can concentrate on the areas that most interest you and if you prefer, we can prepare a whole training program. We have specially prepared classrooms for each course an not only teach the theory part, but have the equipment to practice and apply what you learn, right on the spot.